Every year, many thousands of families are separated by conflicts, natural disasters or the growing phenomenon of migration. People can suffer terribly when they lose contact with their loved ones, and don’t know where they are, if they are safe or even if they are alive. 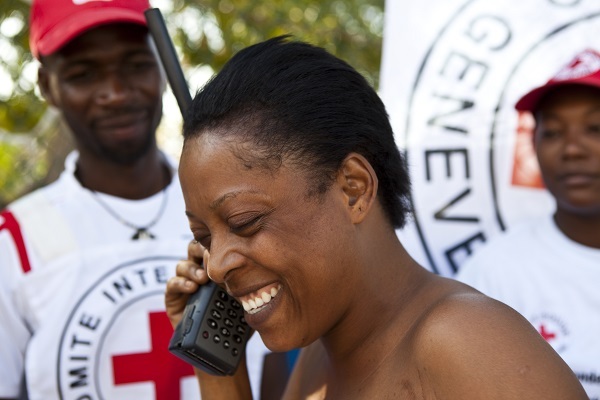 The ICRC and National Red Cross and Red Crescent Societies work together around the world to locate people and put them back in touch with their relatives. We try to find family members, restore contact, reunite families and find out what happened to those who went missing. These tasks are coordinated by our Central Tracing Agency, which was created for the purpose of restoring contact between family members dispersed by armed conflict and other violence. Hundreds of thousands of new cases – involving displaced people, refugees, detainees or missing people – are opened each year. Our Restoring Family Links website also allows people to make tracing requests easily as emergencies arise.